Previous version CSR Racing 2 1.10.2 apk for Android will help you to downgrade or install older app easily. 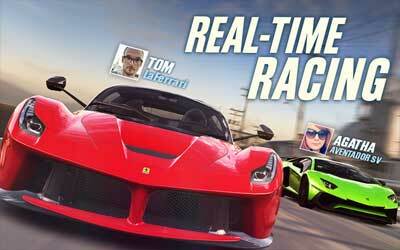 This is one of the best Racing apps. You have to raise the transmission when the green color light up in order to get maximum speed. In addition, you should also upgrade your car to be faster. It is a brief description of this game. Next we will discuss about updates or new features available in this second sequel. I was very impressed with the graphics on CSR Racing 2, better graphics with 3D display that is very charming. In addition to better graphics, this game is more interactive. Like having a dream garage, we can interact with our vehicles. You can open the doors, hood and trunk. Additionally, live multiplayer features are also present in this game. This is my favorite feature, we can play against other players in the world. With this feature, certainly a game that was developed by NaturalMotionGames is able to survive as popular game in a long time. Another interesting feature is the crew. In this latest sequel, we can join or form a crew and invite to compete against other players. A great game and definitely much better than the old one. It is amazing with better game quality, fast cars and new ones too, insane races and brand new editions to this game so I hope this game gets better and better.